Brick Bender: Marvel and LEGO? Could it have been? What ifs are like horseshoes, everybody has one. But this "what if," caught my eye, if for no other reason that I'm looking for a new video game. Game Rant points to a recent Tweet from Jon Burton of TT Games, which suggests that a LEGO Marvel game was a real possibility until MEGA Brands (the makers of MEGA Bloks) deal for the Spider-Man franchise. And once Spider-Man was out of the picture, the game stalled. 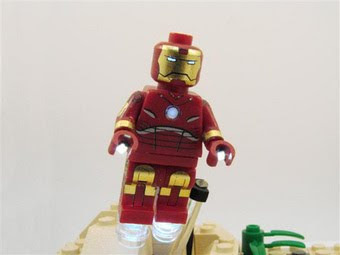 At a brick convention several years back, I saw an Iron Man minifig with a glowing LED light in his chest and I have to tell you LEGO Marvel characters are pretty fantastic. Or the makers could go in a completely new direction and employ the use of CubeDudes -- equally excellent superheroes. So here's hoping the two star-crossed franchises can one day be together.